Fuel injection has advanced cars from the days of clunky, inaccurate carburetors. 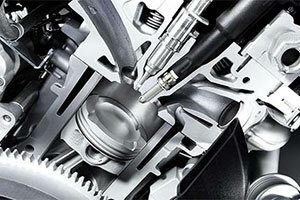 This fine-tuned process delivers the exact amount of fuel your engine requires. 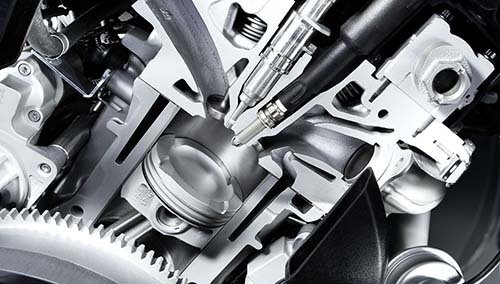 As such, engines are powerful and efficient, letting you get optimal performance out of your Plymouth or Pontiac. However, if your fuel injectors become clogged and need repairs, you may see reduced power, lower gas mileage and all-around sluggishness. If you detect these symptoms, bring your vehicle to Mode Automotive in San Diego for fuel injection repair. We test and repair all fuel injection system issues, including fuel injector cleaning, fuel injection rail replacement, and fuel injector flow adjustment, among all others. Our ASE-Certified Technicians are well qualified to handle all fuel injection repair procedures, backed by years of education and experience. Our team stands among the best in CA for their professional demeanor and thorough automotive repair abilities. Altogether, we consistently provide our customers with accurate service and long-lasting results. At Mode Automotive in San Diego, our inspections utilize a number of tools, from eyes and ears to the most advanced code readers and sensors. Employing a variety of methods, we will make sure all fuel injection repair needs are detected and addressed. This attention to detail demonstrates why customers across San Diego County return to us time and again, not just for fuel injection repairs, but for all automotive service needs. Mode Automotive in San Diego, CA provides professional fuel injection repair service for drivers throughoutSan Diego County and beyond.